Students’ vocabulary knowledge is a critical contributor to their reading comprehension. Having a word-rich classroom environment will maximize their opportunities to learn new words. 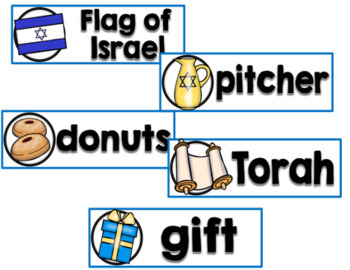 Here is a set of Hanukkah word wall cards and header that will support your language rich classroom. 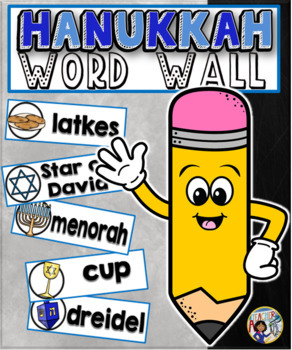 Suggested uses are using them on a seasonal word wall, journal writing, word scrambles, and creative writing! They can also be used to facilitate meaningful classroom discussions. This set is also part of the Year Round Mega Word Wall Cards set which can be found in my store.